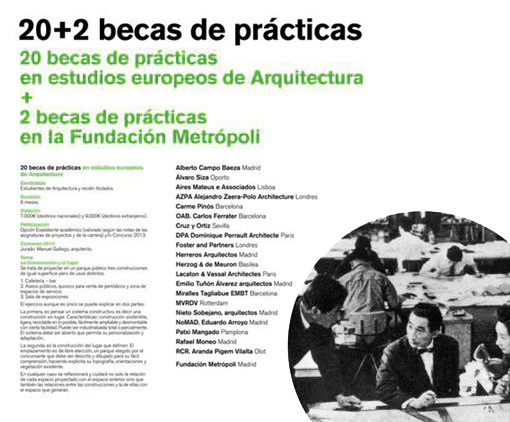 Since the year 2000 the ARQUIA Foundation has been awarding scholarships to recently graduated architects and final-year students of architecture. 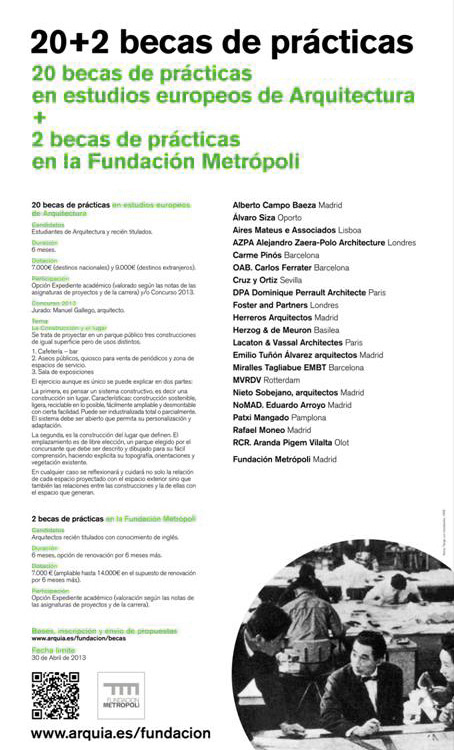 Recipients of the scholarships are offered the possibility of working for a period of 6 months at one of the most prestigious Architectural Studios in the world, which has included Alberto Campo Baeza’ studio from the very outset, thanks to the Foundation’s generosity in making its selection. The Foundation has appointed Alberto Campo Baeza as sole adjudicator for the coming 2014 scholarship competition. 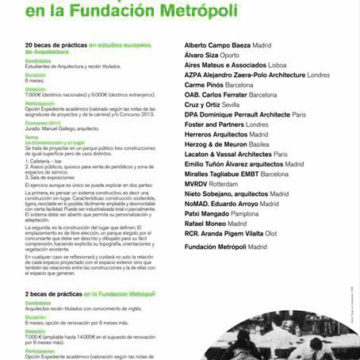 Alberto Campo Baeza would like to express his grateful thanks to the Foundation for its deference and to add that the quality, both on a professional and human level, of past scholarship students allocated to his studio, could only be described as exceptional.